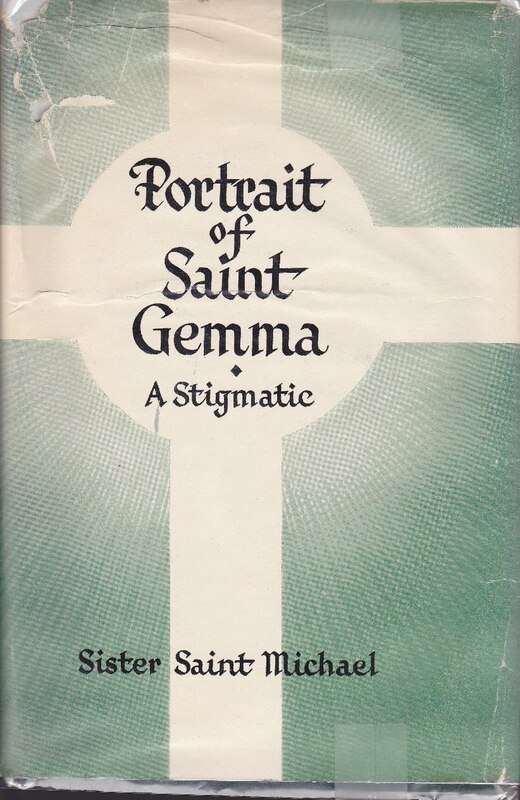 Many of those who are devoted to St Gemma have read the excellent book "Portrait of Saint Gemma, A Stigmatic" written by a Sister of St Joseph named Sister Saint Michael S.S.J. -Many people love this book for its mystical and ascetical treatise on the spiritual life of Saint Gemma. But there is an interesting story behind the book. "More than thirty years ago I first heard of Gemma Galgani from the author of this book. Then my English teacher in high school, she thrilled her classes with stories of the devout little Italian girl whose deep love for her Crucified Saviour was visibly impressed on her frail body through the bearing of the Stigmata. In 1929, while a Seminarian at the North American College in Rome, I visited Lucca and enjoyed a very pleasant visit with Signora Cecelia Gianinni, the foster mother of Gemma, with whom Gemma lived for a time and in whose home the saintly girl experienced some of the ecstasies and sufferings which are the subject of this book. Sister Saint Michael, after painstaking work and long hours of intimate study of the letters of Gemma to her Spiritual Directors, has given us a new insight into the spiritual life of this beloved Servant of God. 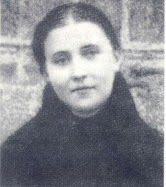 Saint Gemma is not too well known generally, perhaps because her life and her sufferings were by their nature and purpose hidden from the peering eyes of a callous world; perhaps because her Divine Spouse called her to Him at such an early age; perhaps because Saint Gemma demands of her followers that their way be the Way of the Cross, which was her way, with its attendant hardships and sufferings and sacrifices. Whatever the reason, this little book will be, I am sure, a most effective instrument in making Gemma better known, and I pray, better loved in a world that badly needs her saintly example and her devotion and love for Christ Crucified. The spirit of deep love and sincere affection for Saint Gemma which moved the author to give us this spiritual treatise is evident in every chapter of this book. 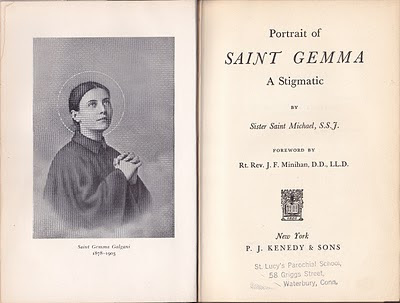 What is not evident is the fact that her penetrating view into Gemma's deep spirituality is the clearer and brighter precisely because five years ago, and on Saint Gemma's Feast day, her eternal outlook was illumined by the loss of physical sight." RT. REV. J. F. MINIHAN, D.D., LL.D. St. Catherine's Rectory, Norwood, Mass. So it is that Father Minihan gives a little insight into the Sr. Saint Michael's great devotion to St Gemma. What is most remarkable is that she became blind in 1944 exactly on April 11--St Gemma's feastday--and, what is most extraordinary is that she attributed this "grace" of her blindness to the intercession of St Gemma! Such a thing is of course hard for us to understand, because God's ways are not are ways, but what seems like a tragedy is often a great blessing in disguise. And so it was that after losing her sight, Sr. Saint Michael's faith grew in intensity, along with her love and devotion to St. Gemma--so much so that she decided, although now blind, to write a book in honor of Gemma, which took several years of painstaking research, not repeating what had already been written, but providing new and unique information about the Saint. 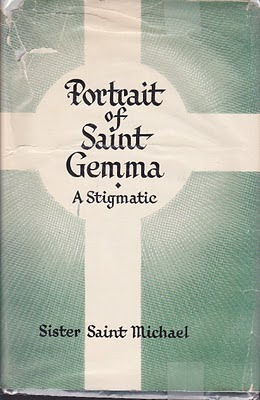 And so the book "Portrait of Saint Gemma, A Stigmatic" was written after her blindness, which occurred on the feastday of St Gemma. Yes, Gods ways are not our ways, and what seems to be a tragedy is often a blessing in disguise. For as the good Father Minihan stated "...[Sr. Saint Michaels'] penetrating view into Gemma's deep spirituality is the clearer and brighter precisely because on Saint Gemma's Feast day, her eternal outlook was illumined by the loss of physical sight." ****Update, May 16, 2013: The book "Portrait of Saint Gemma" has just been republished. Those interested can obtain it here. "There is no one in the world who can satisfy my affections, only You. The thorns, the Cross, the nails, all are the work of love." "Yes, I love the Cross, the Cross alone, because I see it always on Thy shoulders. 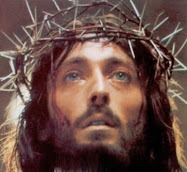 I see well, my Jesus, that all my love is for Thee and Thy sufferings." A beautiful article about Sr. Saint Michael, especially concerning the fact that the blindness caused her increase in faith! It is through struggles, hardships, and difficulty that we turn to God most often, it seems! We run to God when difficulties arise and take Him for granted when things go smoothly! I speak for myself, I have to admit. 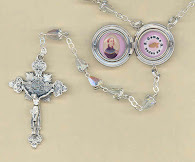 But a beautiful article as always concerning our dear St. Gemma! Thank you for your kind comments. As I was reading through the documentation about Sr. Saint Michael, I thought her faith and trust in God and her devotion to St Gemma was really extraordinary in the midst of great trial and suffering that came upon her due to the sudden loss of her sight. Thanks again Father and may God bless you, and may St Gemma always be your special advocate and friend! What an amazing story! How did you come into possession of this book? I assume that it is long out of print and very rare. 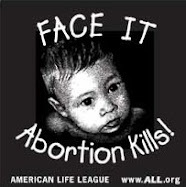 Have you thought of contacting the Passionist publishing house about the possibility of reprinting it? Thanks for your kind comments. Yes, this book is out of print and is a bit rare, but not that difficult to find. Actually, ABE books has 3 of them right now---the hard part is getting them for a decent price, as the ones right now on ABE books are way overpriced. I see copies on EBAY often, so this of course is a great place to look for a good deal.